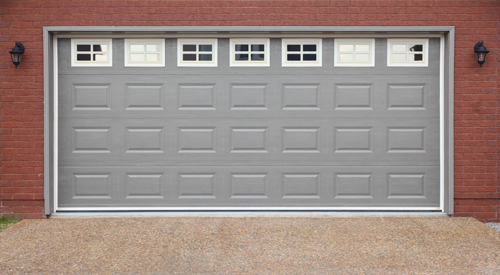 Here you can find smart tips about garage door repairs and maintenance. Learn from the best. There are different types of garage door rollers on the market but since these garage door parts are responsible for the full opening and closing of the garage door, it's good to get top quality ones. Prefer galvanized ones, which won't erode, and if you want to enjoy a silent movement get rollers with pads. The advantage of sliding garage doors is that they can expand by adding more panels later and in case you enlarge your garage. They can also come with materials, which bend to accommodate you if there are corners at your home and they can open slightly, so that pedestrians can walk in or out of the garage. We buy garage doors once or twice in our lifetimes and it's prudent to make wise decisions when the time comes. Today, choosing insulated garage doors is smart because they will insulate the whole house and make a difference to your pocket. They cost higher than average garage doors but our Santafe specialists insist that you will return your investment by saving energy. You must choose the one with highest value if you will buy a new garage door. If you will have your old door insulated, you can use materials like reflective foil foam, panel foam, polyurethane, and polystyrene. Our experts use bottom seal to have an efficient insulation in the garage. Sectional doors can be adjusted to three different speed limits in opposition to one-piece doors, which are set in the factory to move at the lower speed. The pace is adjusted by the opener force limit switches and our experts can be of assistance. For lubrication maintenance, most of the moving parts can be sprayed with lithium or silicon. However, plastic-made parts, if there are any, should not be lubricated. Lubrication on these parts, such as the plastic garage door rollers and bearings, is not going to yield any benefit and may only damage the plastic material. Contrary to popular belief, oiling or lubricating the tracks of a garage door is not advisable. This is because the lubrication can affect the balance of the garage door, especially for the heavier ones like those made of hardwood panels. Lubrication is only recommended for the springs, hinges, and other movable metal parts like the ball bearings. Locking pliers are vital tools in most instances of repairing garage doors. They can be used to secure an open garage door while something is being fixed. They can also be used to keep parts of a garage door in place. 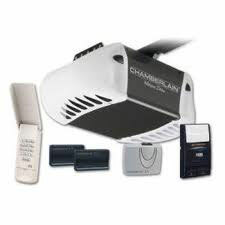 They are some of the most basic items needed in fixing garage door problems.